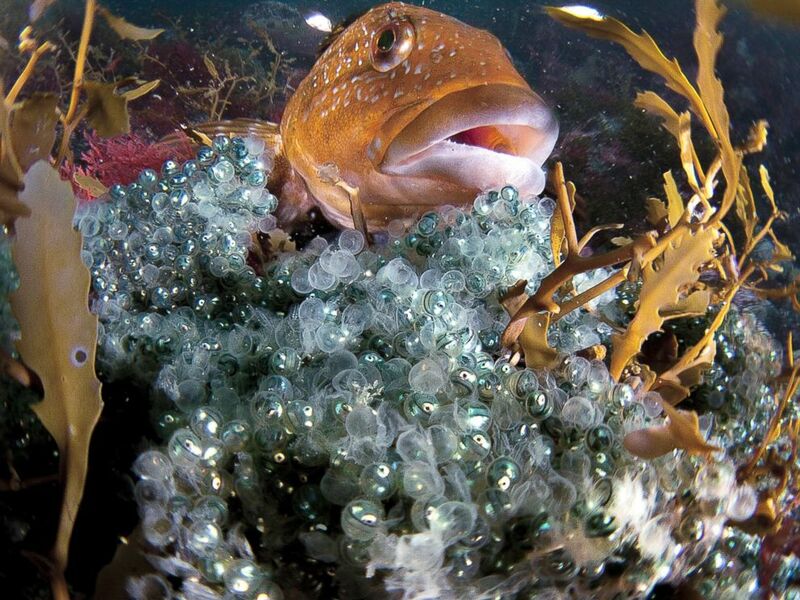 Golden gobies make a discarded bottle on the sea floor their home. The photographer mentions, "I felt as if the couple came up to greet me at the door," Nov. 6, 2016, in Osezaki, Nishi-Izu, Shizuoka Prefecture, Japan. A new solo exhibition of the work of photographer - recent Grand Prize Winner Toru Kasuya of the 6th Annual Nikkei National Geographic Photo Prize - debuts in New York City next month. 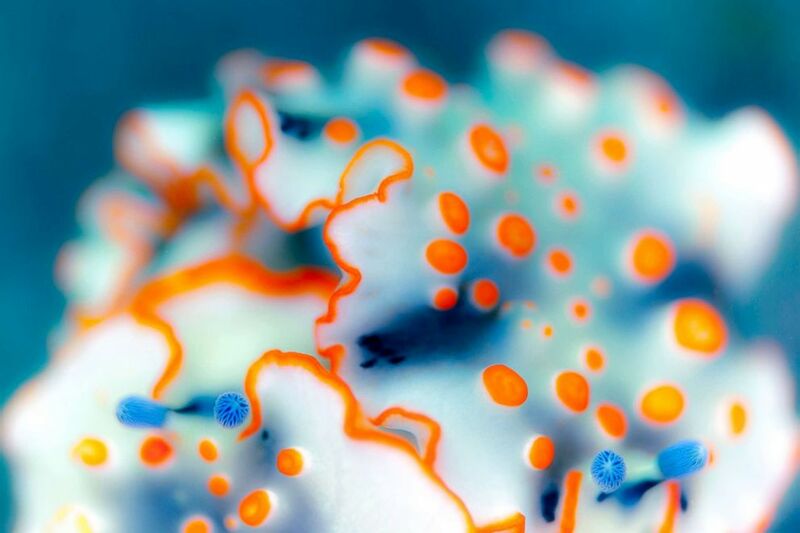 "Hidden Beauty Near the Shore" highlights Kasuya's exquisite underwater photographs, which reveal that - even near urban areas - there is a thriving and diverse underwater ecosystem that most humans never witness. 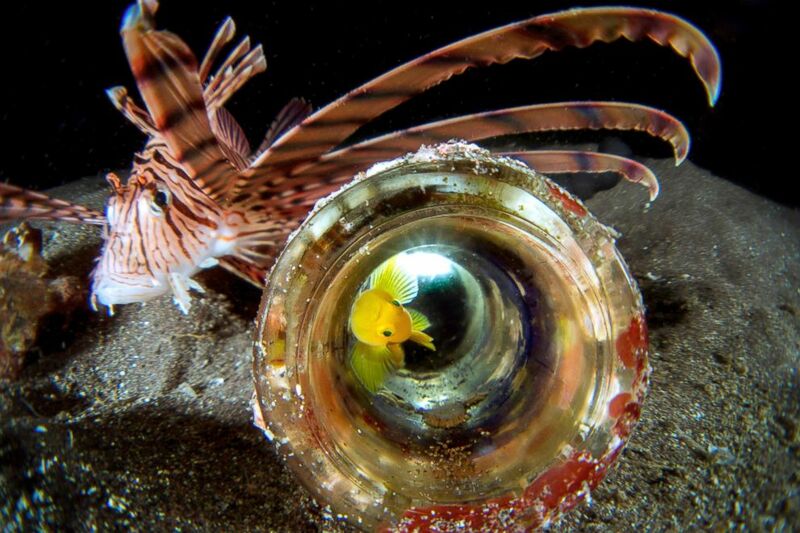 Golden goby makes a discarded bottle on the sea floor his home. Because they are so tiny, they are always living under the threat of their natural enemies, Sept. 27, 2014, in Osezaki, Nishi-Izu, Shizuoka Prefecture, Japan. The roe of shiwaikanago, a species of sand lance, is deposited on brown seaweed called akamoku, in Hakodate Usujiri, Hokkaido, May 9, 2013. Kasuya draws inspiration from the Japanese paintings and woodblock prints of the 17th through 19th centuries, which embrace a reverence for the natural world. He said he hopes his photography embodies the spirit of art that is unique to Japan. 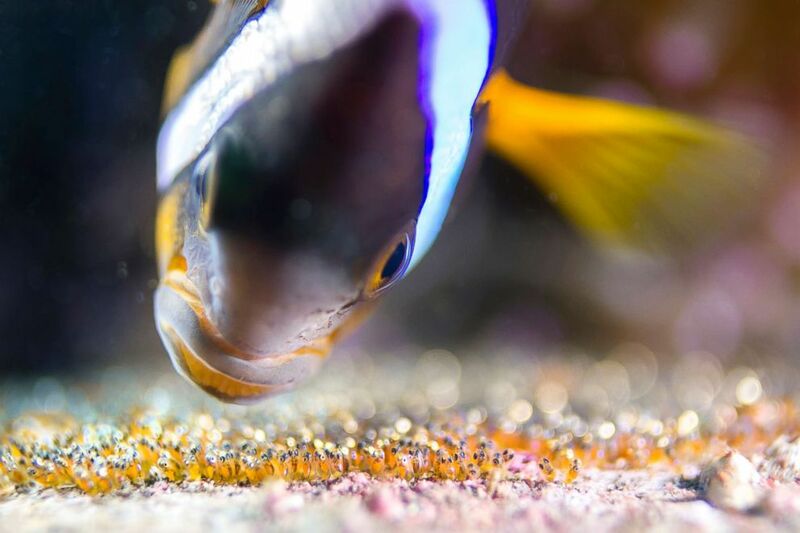 He said he is also drawn to the diversity and beauty of marine life and the behavior of his subjects - from a mother fish protecting her eggs to smaller fish finding sanctuary from predators inside a glass bottle thrown into the ocean by man. 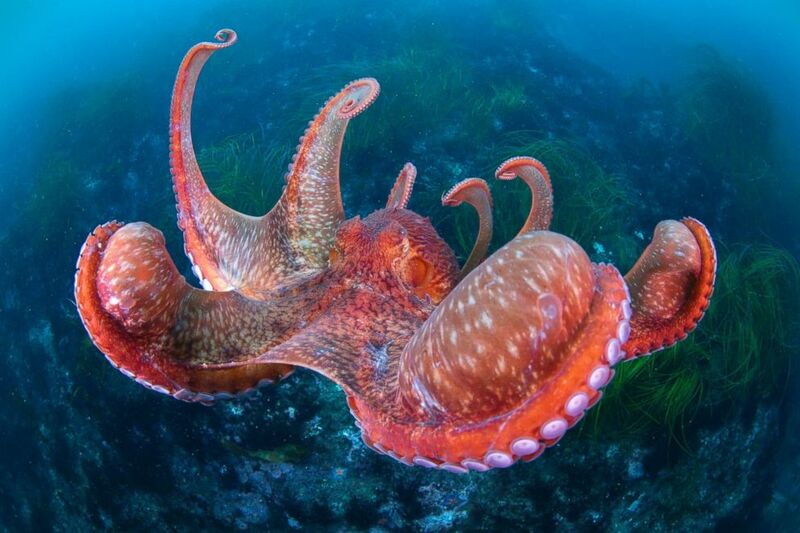 The giant pacific octopus spreads its interbrachial membranes wide when pouncing on its prey or landing on the sea floor, in Hakodate Usujiri, Hokkaido, Japan, Dec. 1, 2015. 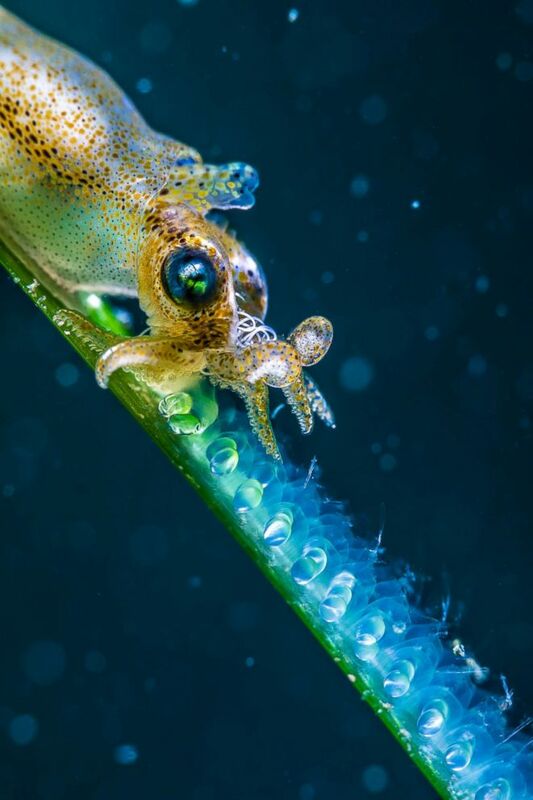 The tiniest squid in the world, a pygymy cuttlefish, is about 0.8 inches long. The photographer comments, "The eggs deposited by the small body are as beautiful as crystals," July 12, 2017, in Hakodate Usujiri, Hokkaido, Japan. When Kasuya goes diving, he said he generally chooses what is known as a beach entry - a method where the diver enters the water from a beach or a shoreline instead of offshore from a boat. 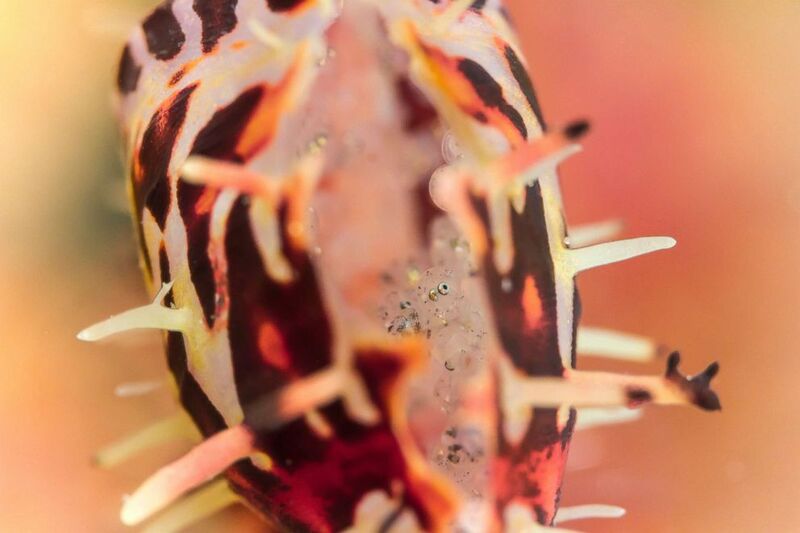 While many divers travel to far-flung, exotic southern islands or to the polar regions, Kasuya chooses to spend his time exploring the ocean right in front of him, that he has demonstrated is full of the marvels of marine life. In an interview with ABC News, he talked about what inspires him and how he captures the amazing underwater photography featured in his new collection. 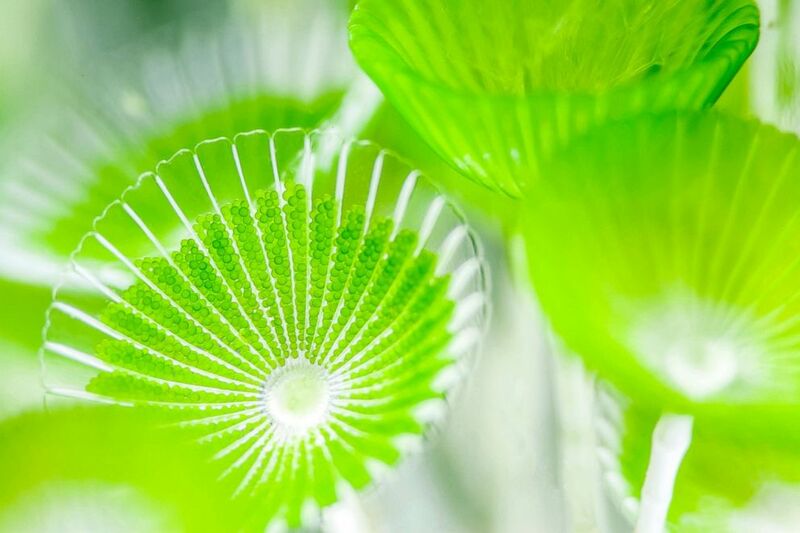 The leaf of a mermaid's wine glass is about .20 inches in diameter. It is divided into dozens of rooms, each packed with numerous green spores, in Notojima, Ishikawa Prefecture, Japan, July 30, 2016. Q: I understand you just turned professional recently after 25 years working as an engineer. What made you decide to go into diving in the first place, initially as an amateur and now professionally, and how does it feel to now have the freedom to just dive? A: I had an opportunity to take one week off from work and decided to go to a resort in the southern islands with my girlfriend, as we shared a common interest in diving. We were able to join a tour, which led to acquiring our diving licenses. This was the beginning of my diving activities, first as an amateur and now as a professional. As a professional, I now have ample time to devote to my craft, waiting for the best angles and light conditions. This is very satisfying and enriching for me. "The eggs were about to hatch. When I peeked inside, my gaze was returned by one of the eggs. I was struck by the presence of the life about to be born," comments Kasuya, Dec. 24, 2016, in Osezaki, Nishi-Izu, Shizuoka Prefecture, Japan. I decide my diving timing according to the ecology of the shooting target. Q: Do you know what you are looking for before you get in the water? A: In my experience, doing extensive research and planning for an underwater dive or trip will often determine how successful the adventure will be and what targets I will be able to see and shoot on a given day. I find underwater guides, and other sources of information for divers, indispensable. This species of sea slugs called hanaotomeumiushi has impressive horns and fringes in orange, Aug. 3, 2014, in Osezaki, Nishi-Izu, Shizuoka Prefecture, Japan. Q: Are there certain times, whether it be a time of day or specific time of month, that you like to dive? A: Fishes usually eat in the morning when the sunlight is strong. Octopus spawn at full moon. I decide my diving timing according to the ecology of the shooting target. A cold current from the North Pole and a warm current from the equator collide at the archipelago of Japan. Its geography, with many peninsulas, further mixes the currents to form a rich, complicated ecosystem. By raising awareness of this environment through the power of photography, I hope our lives become even more enriched. 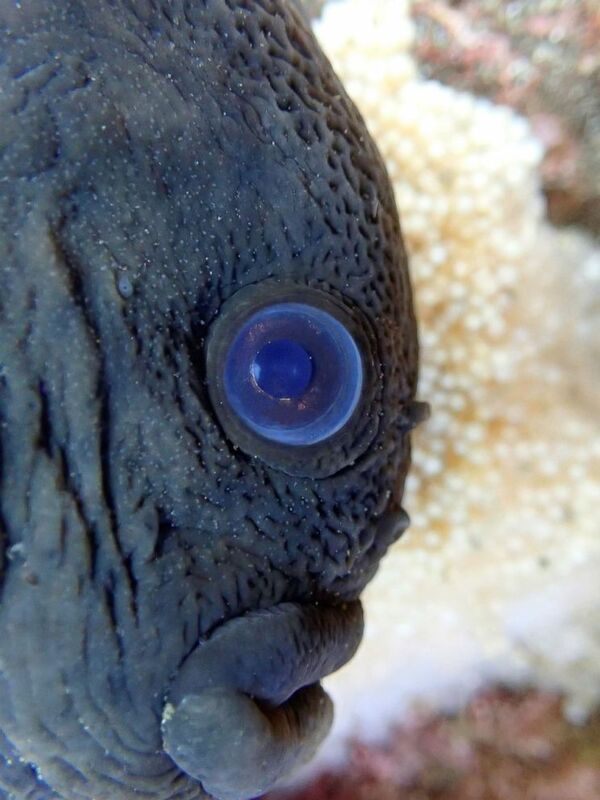 "The smooth lumpsucker prefers to lay eggs in a narrow crevice between rocks. It is hard to peek inside or shoot with a large camera," describes Kasuya, March 14, 2015, in Hakodate Usujiri, Hokkaido, Japan. Kasuya notes that such vibrant worlds exist around the globe, including near the coastline surrounding New York City where he is excited to debut his work in New York, June 6. 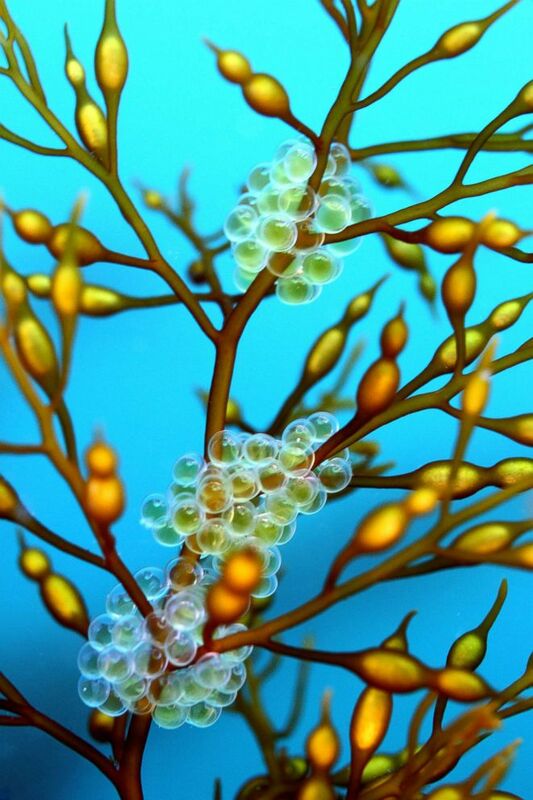 "As eggs grow, parents become busier. I was touched by their parenting. They look as if they are talking to each and every egg," comments Kasuya, Sept. 3, 2017, in Osezaki, Nishi-Izu, Shizuoka Prefecture, Japan. The exhibition is on view at Foto Care (41 West 22nd Street New York, NY 10010) from June 6-9, 2018 with an opening reception with the photographer on Wednesday, June 6 at 6:30 p.m.